A great round of upsets and lots of good dream team scores made round 15 one to remember. Round 16 will see Perth and Cairns line up for their last double match rounds of the year. There were a lot of good scores this round with twenty players managing to score 46 points or higher. The doulble match for Melbourne and Wollongong meant that each had five players in that range, led by top scorers Mark Worthington (88), Scott Morrison (86), Dave Gruber (84) and Chris Goulding (80). The ten high scoring single game players were much more surprising though. Ben Madgen‘s 76 reminded us what a potent player he can be, whilst Brian Conklin (66) and Jamar Wilson (60) both scored more than double their season average. Tom Jervis (50) is enjoying more court time with Knight again injured. Mustapha Farrakhan scored 16 after not taking the court for Melbourne’s second game. Obviously you can never predict something like this, but it really hurt those who’d held him as a point of difference. Similarly for those who held onto Adam Ballinger as he lost over $19K from his value after getting just 4 from his two matches. Josh Pace (16), Todd Blanchfield (14), Jacob Holmes (12) and especially Peter Crawford (-2) all struggled in their game against Cairns while for the opposition Alex Loughton had a poor shooting night and got 8. Adam Gibson had foul trouble and his limited court time saw him score 12. Perth and Cairns have the double match round this week and while you absolutely want guys from these teams on court, I’d be very hesitant to trade in players from either. For both Perth and Cairns this is their last double match round for the season, meaning that they’re the perfect players to be trading out in future rounds. The big exception is James Ennis, who you should absolutely have in your team and should be planning to keep for the rest of the year. So trade him in if you don’t have him and plan on keeping him. Tom Jervis is an option for trading in on a very short term basis. He should get some good scores and good money for at least this round. Just make sure that they are going to continue resting Matthew Knight. Damian Martin is also a valid target if you want some reliable quality. His price is down on where it should be and he has the 5th best average in league meaning he is keeper material. 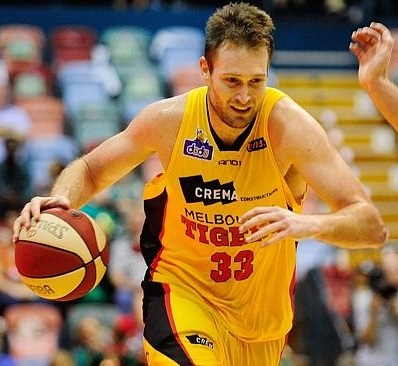 Finally Shawn Redhage has some potential as his price is low and he can score well if given the opportunity. Scores from the Cairns players have rarely shown any trends or consistency, making them one of the hardest teams to pick from this season. Additionally Cairns play Perth and Adelaide this round in an away double, meaning there is a chance they could have a very bad round as those are the top two teams, both coming off loses. Jamar Wilson and Stephen Weigh are the only Taipans who are almost certain to increase in value this round and the only ones who should even vaguely be considered for a trade in. There are no Cairns players who I would plan to keep long term due to their erratic scoring. Gary Ervin is dramatically under-priced and scored 40 this round, his first big score again since his injury. More importantly, he played nearly the whole match showing that his fitness is back up to scratch. Now is the perfect time to grab him. Corey Webster is a cheap option who had a great game this round and started going up again in value, despite the fact that he has a -8 in his rolling average. That will drop out this round and, hopefully unlike Darryl Corletto who I similarly recommended last week, his price should jump right up. Ben Madgen is a consideration after his huge score, although last time he returned to mediocre very quickly and cost everyone trades to get him back out. I’d only take the punt on him now if you can afford for him to go back to playing poorly. Tigers players are prime candidates to trade out either now or next round as they have a bye in round 17. Ballinger and Farrakhan should absolutely be traded out this week while Tomlinson and Greer will make you some extra money if you hold them for one more round. Goulding, Worthington and Morrison should make some money if you hold them one more week, however they respectively have the 6th, 7th and 8th best averages and thus you could plan to keep one or more to the end of the year. Adam Gibson has been picking up the slack whilst Gary Ervin has been injured. His price has started going back down now and he is a pricey option to trade out for some money, even if only temporarily. Swapping him for Ervin will net you almost $80K to spend elsewhere. That all said, if you don’t need money then hold him. James Ennis is the only player you should be considering for captain. After his huge score last time he played a double there is absolutely no way you should look at anyone else. If you don’t have him and can’t trade him in then you’re looking at one of Damian Martin, Jamar Wilson, Jermaine Beal, Alex Loughton, or Cameron Gliddon. That’s the order I’d consider them in but hopefully you only need to think about those players for the Vice Captaincy. It’s a Thursday afternoon lockout again this week, don’t get caught out. I’ve got some money leftover after trading in Rhys Martin and I quite like most of my team currently so I’m thinking of trading Cody Ellis out to Ervin. Ellis still has lots of value to gain, but it’s almost guaranteed that Ervin will score lots better than him on average. Although lots of the Townsville players are looking cheap, as a team they’ve been struggling to get good DT scores lately. They’re still temping with all those doubles approaching though. Tempted to take Loughton off my field and play Wortho instead. Should I? Can’t take another frustrating double round from Loughton of like 40 while Wortho goes nuts for 60 from a single game. I generally play the odds and go with the player who has the double. Across the season Worthington has been averaging 33.9 while Loughton has been averaging 28.4. Which means that on average Loughton will outscore Worthington by roughly 23 points. Obviously your scenario of Loughton sucking and Worthington tearing it up is possible, but it’s also possible that Worthington gets targeted by Perth while Loughton hits a few extra threes and suddenly it’s a 20 to 80 type scenario. I suppose that’s a long way of saying back Loughton. Looking at Ervin’s scores wouldn’t he need to score 40+ to go up in value? I don’t think so. A really quick calculation suggests he has a break-even of about 16. I expect him to smash that score. Well you’re nicely loaded with trades. You really need to decide if you’re planning to hold Goulding and Worthington through their bye round, because if you’re not then you probably want to trade them out this week as you’ll probably be looking to trade out Gliddon and Loughton after this round. A trade like Goulding to Martin or Wilson is great short term points, probably more money, and gives you someone that you’re happy to trade out later but can easily keep if needed. Or you could start grabbing some Townsville players since you have none, but that’s probably best left one more week. Hmm I think I will get rid of Goulding for sure and This week To Martin As he has the Double and Very Consistent. Then next week I Probably should Re-Assess the situation! Think I may try Down-grade Loughton if there are any good buys and Upgrade Gliddon. I am Thinking of Keeping Wortho as he has been playing well lately and Probably should keep his form on the Road to the Playoffs. I’m ranked 250 overall after the last round. Need to pick some POD’s to get anywhere near the leaders from here. No COD this week though. Lock in the NBL DT Pig Ennis! The trades you’ve made are solid, although I’m assuming you couldn’t afford to trade in Ervin from Farrakhan and wait the week on Pace? (he’ll go down in value while Tiggs should go up again). And there’s some great opportunities out there for a POD. Just sort the stats by #ofselections. I’m looking a Jacob Holmes for that very reason.